When a young barrister came into a great fortune over 200 years ago, he did not spend it on himself but instead used it to turn the key that would eventually unlock the fulfilment of numerous biblical prophecies. The inheritance was worth £300,000 – a colossal amount at the time representing at least £12 million in today’s money. An Eton-educated ‘mover and shaker’ in influential circles, Lewis sought the Lord in prayer and duly felt the call of God to devote his time, energy and recently acquired wealth towards helping Jewish people to a knowledge of their Messiah and restoring them to the land of Israel. He was particularly stirred by what has been dubbed his ‘Exeter Road encounter’ when, in 1811, he passed the home of two sisters who had also inherited a fortune and was reminded of how one of them was said to have planted a row of oak trees over which she had prophesied that they would stand until the Jews were back in Palestine. So he pursued this task with great zeal and became active with the Church’s Ministry among Jewish people (CMJ), co-founded in 1809 by his close friend William Wilberforce and dedicated to investing in Israel’s spiritual rebirth. Unlike today, it was quite fashionable – even politically correct – to be linked with such an organisation, especially with the Duke of Kent (Queen Victoria’s father) as patron…until he resigned because the mission was “too evangelical”. There was an irony, too, in that the Way family had in earlier years acquired their wealth through slavery, yet now he was teaming up with an abolitionist – Rev Jacob, CMJ’s UK chief executive, explained that the Jewish emancipation and anti-slavery movements were two sides of the same coin. And when, in 1815, CMJ hit a financial crisis, Way stepped in with a significant gift, without which CMJ would have been a footnote in church history. A great networker, he then set up a successful work in Poland, where many Jews came to believe Jesus as their Messiah. His meeting with the Czar is said to have significantly advanced the Jewish hope for returning to their ancient land and eventually led to the issuing by the British Government of the Balfour Declaration in 1917 which paved the way for the modern state of Israel. Way was accompanied on this trip by an ex-Muslim Arab (his translator) and a former Jewish rabbi who embraced each other as they worked together in the cause of Christ and of Israel. The briefcase Way used for the occasion has survived to this day and was actually displayed alongside the podium at which Rev Jacob spoke at CMJ’s UK headquarters. There is no doubt that Way’s sacrificial exploits greatly contributed to the cause of Zionism and the return to the Holy Land of Jews dispersed to every corner of the globe by the Romans almost 2,000 years ago. His ultimate purpose, however, was not just in helping them back to their land but, more importantly, to their Lord. And he will have been thrilled to see the proliferation throughout Israel today – and in other parts of the world including the UK – of Jewish congregations worshipping Yeshua (Hebrew for Jesus). 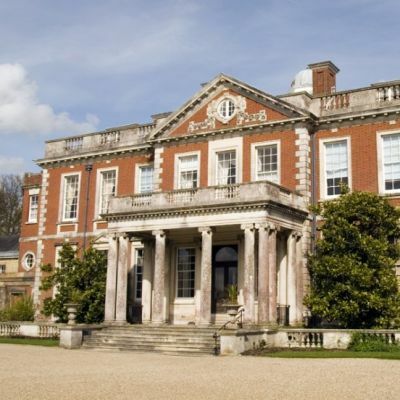 The bi-centenary of Way’s presentation to the European Congress was marked with a special event at Stansted Park in Hampshire, once Way’s family home. It was held in the historic St Paul’s Chapel, situated within the Park, and addressed by Dr Richard Harvey, Rodney Curtis and Rev Jacob giving talks titled From Russia with Love, The Forgotten Way and Money, Money, Money respectively. 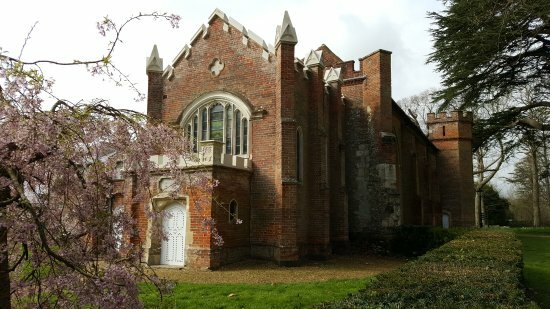 The chapel happens also to contain a unique stained glass window designed by Way while carrying out renovation work in 1804. It is the only window in a Christian place of worship which is wholly Jewish in design and symbolism. Despite his immense earthly wealth, Way successfully stored up his treasure in heaven, as Jesus advises us to do (see Matthew 6.19-21). 1It is suggested that his benefactor and namesake John Way (no relative) would have been hugely impressed by his friend’s integrity for, when he offered him an arranged marriage with a woman of high status, he turned it down, preferring to ‘marry for love’. 2Jews throughout Europe had their rights restricted in many ways, such as being denied access to various professions. 3Set up following the collapse of the Napoleonic empire as a kind of precursor for the League of Nations in a bid to help re-shape the map of Europe.